Image taken in Puxi, Shanghai China. 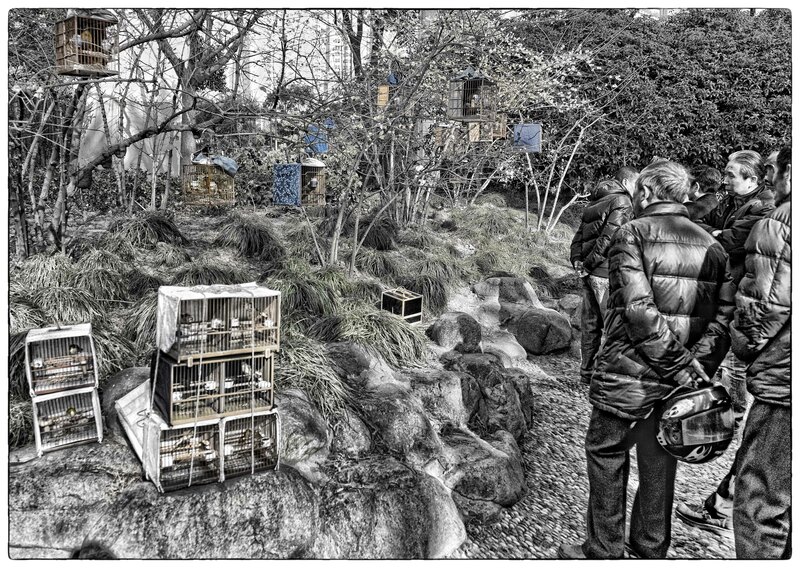 The Bird Fanciers park. That is a surreal picture. I like the smoothness of the rocks, the flow of the grass, and the shiny coats.